Very nice! 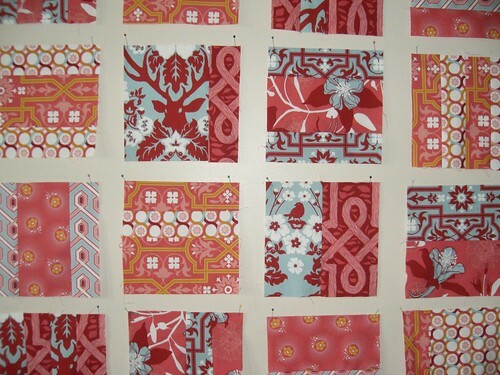 I’m making a HST quilt for a friend who requested “red and tan” and these fabrics were my (admittedly loose) interpretation. 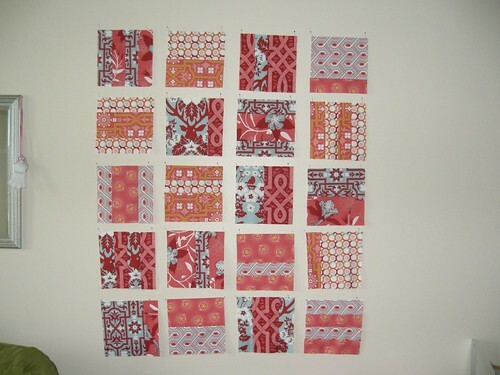 What thread colour will you use for the quilting? I’m probably going to use thread to match the sashing, so it’s like a taupe-y color. I’m a little nervous about it, but I think it will turn out well. It’s beautiful as is the quilt in the post below! I find it fun to work with colors outside my normal color palette.